The air in New England has gotten crisper for sure, but we still have a month before boats need to be wrapped or headed south! All along the eastern seaboard, boaters can take advantage of beautiful October weekends by exploring new harbors and toasting to a great summer. Where better to raise a toast than Oktoberfest? We've rounded up some of the festivities taking place all along the east coast – so raid your lazarette for your lederhosen and make your way to a bier tent near you. Oktoberfest celebrations, held each year in late September and early October throughout the world, are modeled after the German beer festival that started in Munich in 1810 to promote local Bavarian agriculture. Each year roughly 6 million people participate in Oktoberfests around the world, sampling one of Germany's finest exports and learning about the rowdy side of Germanic culture. Here are some harbor-town Oktoberfests you can catch throughout October! 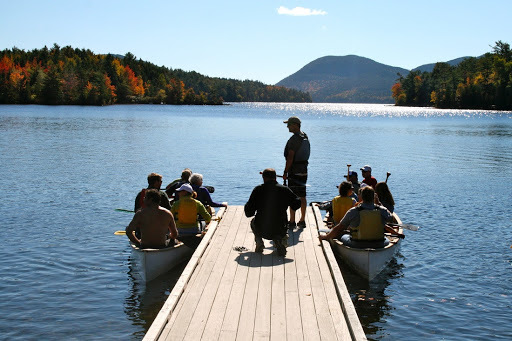 On October 5 & 6, the 21st Annual Acadia Oktoberfest takes place at Smuggler's Den Campground in Southwest Harbor, Maine. The weekend kicks off the evening of Friday, October 5, with their 9th Annual Wine Tasting, and continues Saturday afternoon with their 23rd Annual Brewfest. 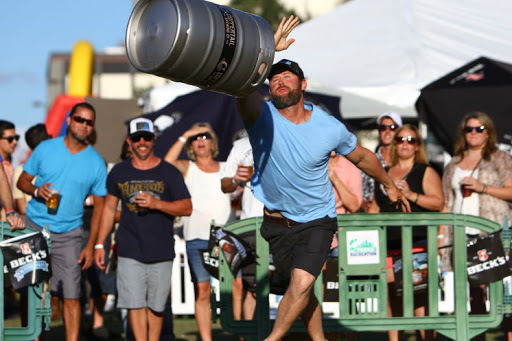 There will be lively festivities including everything from keg tossing competitions to stein hoisting, and war canoe races to belt sander races. When: October 5, 4-6 PM, October 8, 12-5 PM. Where: Smuggler's Den Campground, 20 Main Street, Southwest Harbor, Maine. Where to tie-up: Hinckley Yacht Services Southwest Harbor is a 9-minute drive away. On September 27, Harpoon is celebrating the release of Harpoon Dunkin' Coffee Porter and ringing in Boston's Octoberfest weekend with Harpoon Dunktoberfest. Taking place at the Harpoon Brewery in Boston, Massachusetts from 7:30-10:30 PM. If you're a fan of beer, donuts, and all things Boston, you won't want to miss this event! Dunkin' will be providing free coffee, munchkins, donut fries and pretzel bites. There will be fun live shows and games to enjoy all night. Where: Harpoon Brewery at 306 Northern Ave, Boston, MA. 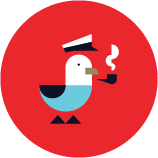 Where to tie up: Harpoon Brewery is a scenic 30-minute walk from Boston Waterboat Marina and India Wharf Marina. The 2018 Harpoon Octoberfest takes place September 28 & 29, at the Harpoon Brewery in Boston. Now in its 29th year, this event comes complete with beer (of course), bratwursts, chicken dancing, German chocolate cake-eating contests, oompah music, and hundreds of genuine rowdy Bostonians. Quick aside: To all the beer festivals that offer free non-alcoholic beverages for designated drivers like this one does, we salute you. Where to tie up: Harpoon Brewery is a scenic 30-minute walk from Boston Waterboat Marina and India Wharf Marina, along Atlantic Ave and through Boston's shiny and lively Seaport District. On September 30, Harpoon will host Harpoon Dogtoberfest from 10:30-4:00 PM as its last event of the Octoberfest Weekend. 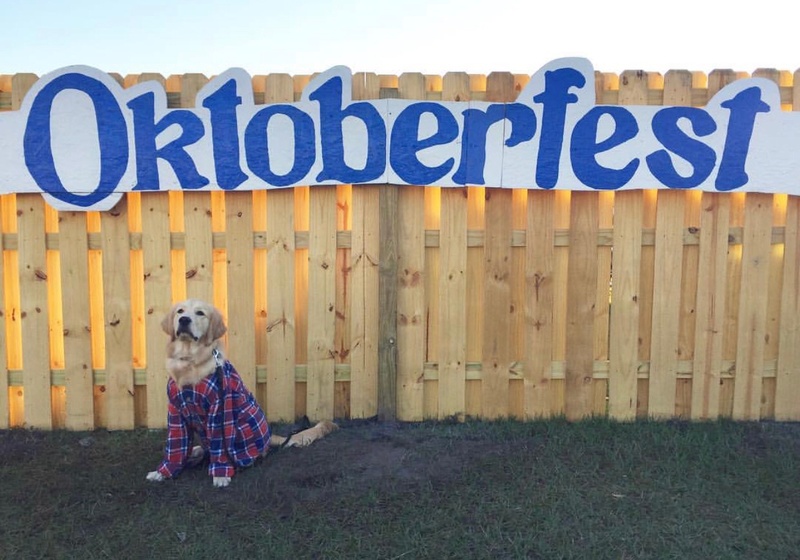 The brewery is welcoming all dog lovers & their furry friends to join them in celebration. Enjoy a fun-run/walk, costume contests, samples from their favorite dog-friendly brands, food trucks, and Harpoon & UFO beers. On October 13, New Bedford hosts its 13th annual NB Oktoberfest, a local fundraiser sponsored by the South Coast Business Alliance. This fest features live music, nearly 50 local, seasonal craft brews, as well as sangria, cider & gluten-free beer. The musical line up includes 7 Day Weekend, Pourmen, Joshua Tree and Craig Demelo Band. When: Saturday, October 13, 3:00-11:30PM. Where: Pier 3 in Downtown, New Bedford, MA. Where to tie-up: Pope's Island Marina is a 16-minute walk from State Pier. The party returns to Massachusetts on Sunday, October 7 for the 40th Annual Oktoberfest Cambridge. This festival in Harvard Square will include the legendary HONK parade. There will also be a Sam Adams Beer garden, 50+ international food vendors, live entertainment, sidewalk vendors, along with family-friend contests and game. If you make your way to it, let us know how it is! When: Sunday, October 7, 12-6 PM. Where: Harvard Square, Cambridge, Massachusetts. Where to tie-up: Both Constitution Marina, Boston Harbor and India Wharf Marina are an 18 minute drive to Harvard Square. Large parties are encouraged! The louder you sing the more the dancers pay attention to you. And if someone's spouse says they don't think they like German food, they can have a half chicken or cod. If they still complain tell them to stay at home. This event is for fun people only. Redlefsen's is not playing tiddlywinks when it comes to Oktoberfest. When: September 26 to October 31. Where: Redlefsen's Rotisserie & Grille, 444 Thames St, Bristol, Rhode Island. Where to tie-up: Bristol Harbor, the Herreshoff Museum, or Bristol Marine. This Saturday, October 1, join the Oktoberfest Pub Crawl through downtown Norwich, Connecticut, an annual event planned by the Norwich Community Development Corporation. Where: Downtown Norwich Historic District, Norwich, Connecticut. Where to tie-up: The Marina at American Wharf is a 7-minute walk from your first stop on the pub crawl. Oktoberfest New York starts up this weekend! Head to New York City for some schnitzel and beer at Watermark NY (Pier 15) in Lower Manhattan. When: The weekends of September 21-23 & 27-30 and October 4-7 & 11-14. Where to tie-up: Liberty Landing Marina is a dinghy ride across the Hudson. For the next three weekends, head to Wildwood, New Jersey for Morey’s Pier Oktoberfest for beer, brats, pretzels, roller coasters, tilt-a-whirls, live entertainment, and even a "Rootbier" Garden for kids! Adorable. When: The weekends of September 21-23, September 28-30 & October 5-7. Where: Morey's Piers & Beachfront Water Parks, 3501 Boardwalk, Wildwood, New Jersey. Where to tie-up: Schooner Island Marina in Wildwood is a 30-minute walk, 8-minute drive to Morey's. Maryland loves Oktoberfest so much, they start celebrating it in August. Hats off to you, MD! Flash forward to October 13 for the Das Best Oktoberfest in Baltimore, Maryland. With an attendance of 60,000 strong, more than 150 beers, German food, authentic polka and oompah bands, chicken dancing, contests, and live music from regional bands, this Oktoberfest may put the rest to shame. Where: M&T Stadium Parking Lot, Baltimore, Maryland. Where to tie-up: Baltimore Marine Centers has three locations that are roughly 25 minutes walking to the stadium. On October 13, head to the 4th Annual Havre de Grace Oktoberfest in Hutchins Park! Enjoy authentic German food while listening to live German music by Smitty's Polka Band. When: Saturday, October 13, from 12-7 PM. Where: Hutchins Park, Havre de Grace, Maryland. Where to tie-up: Tidewater Marina and the Havre de Grace Marine Center are both a 10-minute walk away. For the weekends of October 20-21 & October 27-28, head to OC-Toberfest in Ocean City, Maryland! 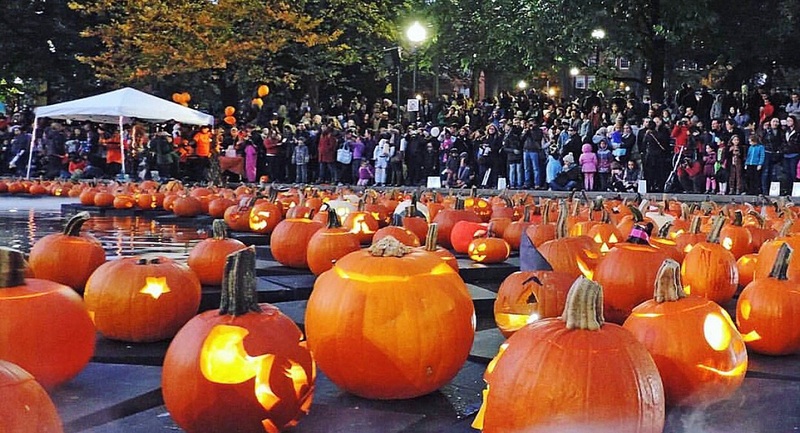 There are so many great events to check out at the festival including, a giant Halloween beach maze, a Great Pumpkin Race, Howl-O-Ween Pet Parade, and more. When: The weekends of October 20-21 & 27-28. Where: The beach at Division Street, Ocean City Maryland. Where to tie up: Sunset Marina is a 35-minute walk or an even quicker dinghy ride. Next Saturday head to Portsmouth, Virginia for their annual Bier Garden Oktoberfest! When: Saturday, September 29, 12-9 PM. Where: 438 High St, Portsmouth, Virginia. Where to tie-up: Ocean Yacht Marina and Tidewater Yacht Marina are both about 10-minutes away walking. Head on over to Wilmington, North Carolina on Saturday, October 6 at 1 PM for the 3rd Annual Oktoberfest Under the Bridge at the Waterline Brewing Company! Join in for live music from the Port City Fest Band, 1liter steins of Waterline Marzen, pretzels, food, games and more! 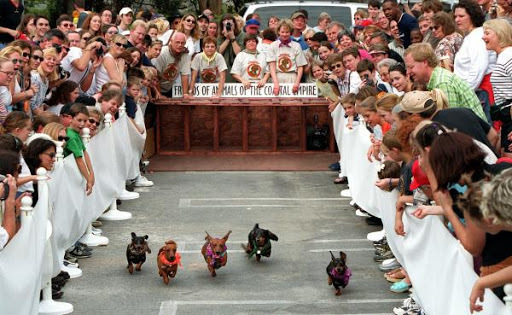 Later in the month, the fun continues with the 15th Annual Wilmington Oktoberfest on Saturday October 20, complete with authentic German food and beer, wiener dog races, live music and kids zone. When: Saturday, October 6 & Saturday, October 20. Where: 230 Government Center Dr, Wilmington, North Carolina. Where to tie up: Port City Marina is a 15-minute drive away. The weekend of October 19 through 21st, grab your lederhosen and celebrate a weekend-long Oktoberfest in Tarpon Springs. 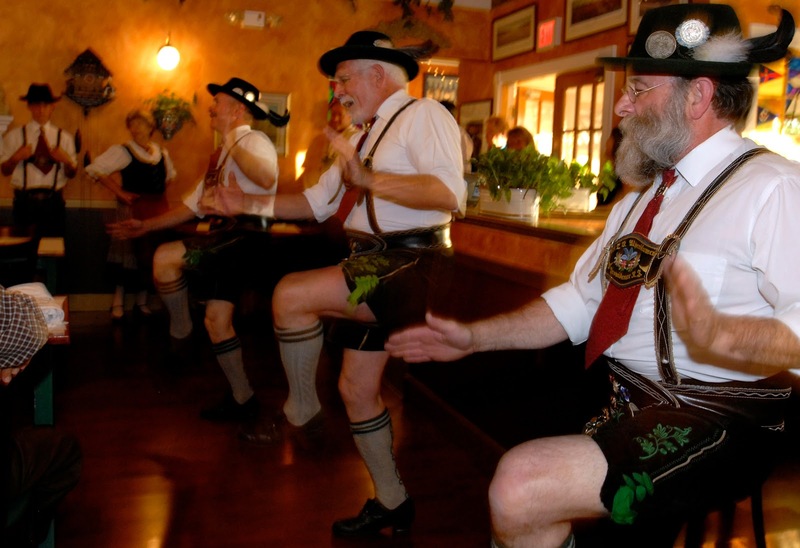 Head to Tarpon Springs Oktoberfest for authentic German bier, oompa bands, German cuisine, artisans, and more! When: Friday & Saturday, October 19 & 20, 10-11 PM, and Sunday, October 21 12-6 PM. Where: 21 North Safford Avenue, Tarpon Springs, Florida. Where to tie-up: Port Tarpon Marina is an 8-minute drive or cab ride southeast. When: October 12-14, 2018. Friday 4-11 PM, Saturday 11-11 PM & Sunday 11-6 PM. Where: Curtis Hixon Waterfront Park, 600 N Ashley Dr, Tampa, Florida. Where to tie-up: Inter-Bay Moorings in Gibsonton is a 20-minute drive. On October 20, in Downtown Tierra Verde, check out the Tierra Verde Oktoberfest community party. There will be lots of beer, food, live music, arts & rafts, and kids' activities. There will also be a market and beer garden. Where to tie-up: Book a slip nearby at Harborage Marina, about 20 minutes away. Last but not least, if you're in the Cape Coral, Florida neighborhood at the end of October, make a point to swing by the 33rd Annual Oktoberfest Cape Coral on the weekends of October 19-21 and 26-28. Hosted by the German-American Social Club of Cape Coral, this party boasts an outdoor biergarten with three stages and two dance floors, live music throughout the weekend, German beer, sausage platters, bratwurst, schweinhaxen, potato pancakes, crafts, and a carnival area for kids with rides and games. There are also hand made crafts for purchase from the vendors and exhibitors. Where: 2101 SW Pine Island Road, Cape Coral, Florida. Where to tie up: Tarpon Point Marina is about 20 minutes away by car. Headed to one of the events listed above? Let us know in our Facebook Group! Tell us what you liked, what you didn't like, or simply post a picture of the awesome time you & your crew had.